Over the weekend, I turned cheap yard sale frames into these chalkboards. Total cost for all 3, $2.50. 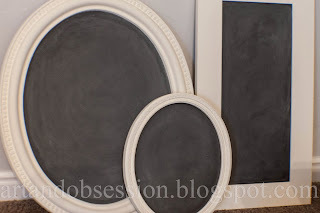 I even got the chalkboard paint from a yard sale! 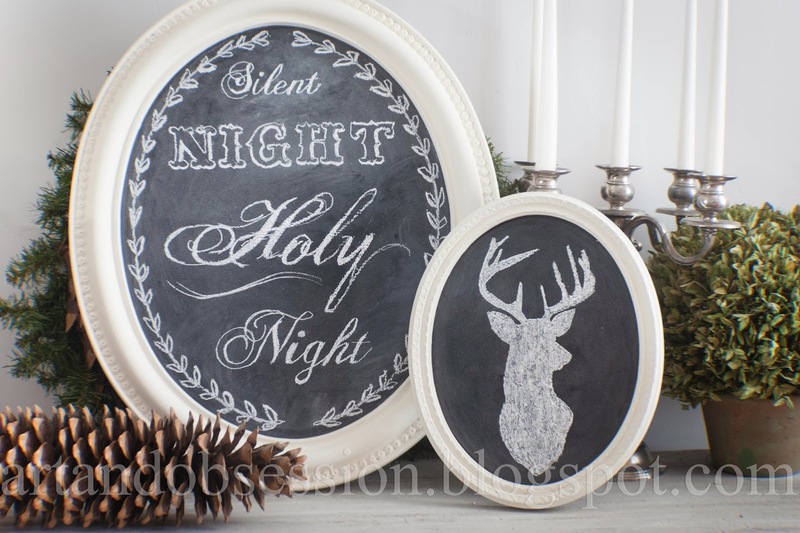 I had fun turning them into a Christmas themed chalkboard quote, and a deer head silhouette. Stay tuned for the full tutorial on how I used an easy method to "cheat" to get perfect lettering every time!